For many people, maintaining healthy, esthetically-pleasing skin is an ongoing battle. The winter months can make this goal especially challenging. This brief blog will highlight specific skin preserving methods individuals can employ during this cold and potentially damp period of the year. During the winter months, both the air temperatures and humidity levels drop. Cold air combined with decreasing atmospheric moisture could be harmful to skin health. Both weather phenomena have the potential to sap the skin of its internal water and natural oil content. Should the availability of either or both skin-hydrating liquids be depleted, dehydration can occur leading to specific unpleasant symptoms such as dryness, scaly skin, chapped or cracked skin, as well as skin that is susceptible to irritation. Moreover, the problem can worsen with age. This is because an individual’s skin produces less natural oils as they grow older. Dermatologists recommend that individuals remain in the shower for five to ten-minute intervals only. More extended periods are said to have the potential to impact the skin adversely. Also, said professionals also opine that hot water could also damage skin. When showering during the wintertime, people are advised to do so using lukewarm to warm water. Setting a thermostat at too high a temperature will keep one’s home warm. However, warmer internal temperatures could increase the dryness the skin is exposed to. Those with existing skin issues or who are concerned about being stricken with winter skin ailments are encouraged to set their thermostats at a range that does not exceed 68 to 72 degrees. Many ordinary bar soaps contain fragrances produced by potentially irritating substances. Individuals can avoid this pitfall by bathing with cleansing products comprised of moisturizing gels. Furthermore, dermatologists suggest using less soap period. Over lathering can precipitate irritation and dryness. Harsh winter conditions can cause skin problems to develop quickly. Therefore, the use of moisturizing products, especially on one’s hands, could prevent dryness and other skin maladies from forming. The skin is naturally sensitive to many different types of irritations. Though donning products comprised of products like wool can provide additional warmth on ultra cold days, such fabrics are abrasive and possess the potential to precipitate anger or exacerbate an already existing problem. Ergo, dermatologists recommend wearing lighter clothing and, if need be, in several layers. In the wintertime, it is not uncommon for people to be outdoors during and after snow events. That said, dermatologists advise that individuals remove wet clothing as soon as possible. Water-logged articles are believed to cause additional skin irritations. Though sometimes overlooked, remaining adequately hydrated is vital to one’s skin health. Skin problems may be avoided by drinking adequate amounts of water and other liquids. Oily skin can give you a lot of troubles because it’s producing excessive amounts of sebum, giving your face greasy-looking appeal. This type of skin is often prone to acne, blackheads, whiteheads and enlarged pores. But, the oily skin also has positive sides, it is less prone to wrinkles and other signs of aging. The oils tend to lock the moisture inside, proving deep hydration. If you have problems with oily skin, then we have a couple of suggestions for you. An average person users face scrub a couple of time per month. But, this rule doesn’t apply to people with oily skin. You should use face scrub at least three times a week. Removing all the dead skin from your face is essential. In this way, you are unclogging and minimizing the pores. The excess sebum produces a lot of dead skin cells on the skin surface. They later result in acne, pimples, and blackheads. So, exfoliating the face should be one of the main steps in your skincare routine. It will help you keep breakouts at bay and your skin clean and shiny. They have become very popular in the last couple of years. Under the influence of Japanese and South Korean culture sheet masks have taken over the beauty industry. They are very affordable, and you can choose between different types. For oily skin, we would recommend masks for deep cleansing, for pore minimizing and brightening. Or you can buy face masks that contain clay. They will soak up any reduces and leave your skin plump and soft. Toning daily will help in eliminating excessive amounts of oil and clean dirt from your skin. For instance, you can use rosewater toner. Even a good alcohol-free drugstore toner is an excellent solution for regulating sebum. On the other hand, if you are battling acne, then you will need something stronger, to stop the bacteria and inflammation on your skin. In this case, we recommend products that contain benzyl peroxide. We all know at least one woman with perfect skin. Every time you see her glowing face, you must be wondering: how does she pull that? You would be surprised to know that even the affordable products can do wonders for your skin. But, if you want to change your skincare routine, then you have to start from the inside. So, here is what women do to maintain the healthy skin tonus and maintain the youthful look. Depending on your skin type, you need to find a cleanser that will match your skin condition. For oily and acne prone skin, you should use salicylic gel or benzoyl peroxide wash. On the other hand, for dry and mature skin, you should use a moisturizing glycolic or milky cleanser. For skin with brown spots, you should apply a brightening wash, such as alpha hydroxy acid cleanser. Even though is tempting to grab a cup of coffee the minute you wake up, many skin care specialists advise otherwise. The first drink you choose in the morning can be a game changer. Instead of coffee, you should go for chlorophyll every morning. It will brighten, oxygenate and hydrate your skin, helps you reduce the puffiness and stimulate the lymphatic system. This solution is also suitable for cellulite. If you didn’t know, the chlorophyll supplements could be found in many drugstores and health food stores. You can also consume green juices with green veggies. It will transform your skin and make it feel more radiant and wrinkle-free. There is a misconception going around women that oily skin doesn’t require moisturizers. But, that’s not true obviously. Just because your skin produces excessive amounts of oil, doesn’t mean it hydrated enough. The best time to apply a moisturizer is right after you get out of the shower and right before you go to bed. You should avoid products with heavy fragrances and make sure to find a gentle one for everyday use. How To Create Beauty Blog Tips? Being a beauty blogger requires a lot of time and effort. But, it’s a fun and exciting way to share your knowledge with other readers. Many people have succeeded in this industry and gained lucrative sponsorships. If you want to share your experience with others, then the logical step would be to build your blog or website. Even though it seems complicated, it doesn’t need to be, and we are going to show you how. In fact, if you follow these simple rules, you will have the site running up the same day. Beauty industry covers various areas, and if you plan to succeed, then you need to take a personal standpoint. Let’s say you have a particular skin type, completion of feature that you would like to offer e recommendation of suggestion. Perhaps you are very good at makeup, and you want to focus on specific products. By having a specialty, it will help you differentiate your site from others, and you will attract possible readers. The higher traffic you have, the more successful your blog will be. You can also use different writing style and photography to make your site more appealing than before. You need to build an honest relationship with your audience. By providing useful recommendations and negative sides, you will get their trust. Nowadays, many beauty gurus due to lucrative sponsorships tend to lie about the products because they are earning money. Considering you are still a beginner, you are yet to build a reputation. In this case, before presenting some product or skin care routine, always test it on yourself. In this way, you can state all the right sides, but also the bad ones. For instance, if your niche is skincare for oily skin, then don’t always choose high-end brands. Many people don’t have money to afford such products. Instead, go to a drugstore and try to find dupes, that are more affordable and also provide excellent results. This way you will offer your readers a variety in a price range. Make sure to mix and match the brands, products, and prices. Try to provide them with innovative solutions that will give actual results. Otherwise, your blog will lose subscribers and readers. Draw a conclusion from their feedback, and you will be on the right path. The Ordinary brand has been on the market for a couple of years, and people become obsessed with their line of products. They are affordable, practical and promise excellent results, which is at some point the most important thing. They are UK based company, but you can order them all over the world. If you are looking for ways to kick some acne, then we have a solution for you. Why don’t you try our 30-day regime, which guarantees excellent performance and the best of all, the price range is around $40. The Ordinary skincare line was launched in 2016, and it became a game changer for many people. Their brand offers various products, from acne treatment to anti-aging. Let’s say you want to treat acne effectively and you want to have beautiful and radiant skin. It will take ages until you discover the right line for you. It will mean you’ll have to spend your hard earn cash before you find one product that works. The company uses active skincare ingredients. They use them in concentration that works, and they are specially designed for each akin type. The price tag is super affordable; you will only need a couple of dollars for an individual product. Salicylic Acid 2% Solution – this product speeds the skin exfoliation and prevents the clogged pores. If you have enlarged pores, then this should be your number one priority. The salicylic acid 2% solution has the antibacterial and anti-inflammatory effect. Niacinamide 10% + Zinc 1% – it reduces sebum and oiliness. Therefore you will avoid clogged pores and acne. The serum helps your skin heal and has anti-inflammatory properties. Advanced Retinoid 2% – retinol is the main ingredient in many acne treatments. It is derived from vitamin A. Basically; with this product, you will get the non-prescription form of the active prescription ingredient, vitamin A.
Azelaic Acid Suspension 10% – this is probably one of the rare products that stop the dead skin from building up. It provides your skin with anti-bacterial and anti-inflammatory properties. 100% Organic Cold-Pressed Rose Hip Seed Oil – a dry oil helps to reduce the oiliness, and many women use it in their skincare routine. It will help you decrease the size of the micro-comedones. For centuries women have been obsessed about the youth and wrinkles. As the technology progressed, we now have advanced methods to solve this problem. Nowadays, many women use Botox and hyaluronic fillers, which can do wonders for our skin. But, these two can be pricy and not many people have the money to afford them. However, if you want to try a more affordable option and you are afraid of medical procedures, then we recommend you using facial creams. Did you know that some of the best wrinkle creams can be found in a drugstore? Today we are sharing the top-rated creams that will transform your skin. Many beauty experts say this facial moisturizer is one of the Hollywood’s best-kept secrets. The cream leaves beautiful sheen and radiance. You can put it in the morning, and your skin will be soft and hydrated throughout the day. 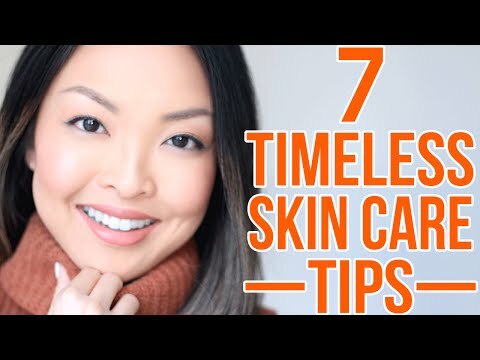 No7 Lift & Luminate Day Cream will smooth out any patches of dry skin; it’s not greasy because it contains a lot of peptides and vitamin C. Plus, it is not tested on animals. This is an excellent choice for all skin type. It is packed with 2.5 percent retinol and hyaluronic acid. The moisturizer also contains a lot of organic ingredients, such as aloe, sunflower oil, jojoba oil, green tea, and dandelion. They provide plenty of nutrients and antioxidants for intense hydration and nourishment. Retinol is a crucial ingredient in many beauty products, but, when you are choosing to one, make sure to look at the quantities. It improves the appearance of fine lines and wrinkles, and long-term use can even eliminate them. Just don’t forget to put a sunscreen after using a product that contains retinol. This cream has a super effective concentration of retinol, which keeps your skin hydrated for 24 hours. Many popular celebrities use this cream in their skin routine, and it has shown an excellent result. For that price range, you couldn’t find better. It has retinol, which is our most potent allay in combating wrinkles and fine lines. For women to use retinol, it must be converted to RetinA through an enzymatic process. In this case, the extracted amount is much smaller, but better than no RetinA.